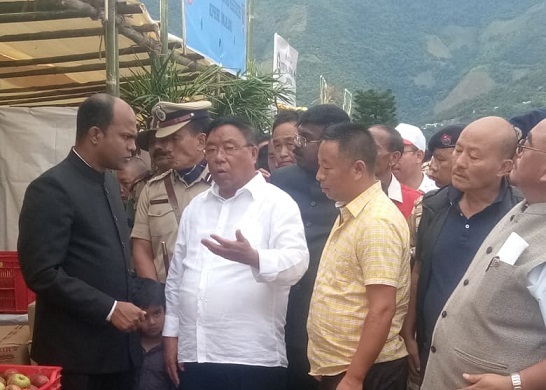 The Nagaland governmenton Thursday constituted a six-member cabinet sub-committee to examine the issue of reservation for women in urban local body elections and other related issues and make recommendations thereof. The committee has been asked to submit its report, recommendations within two months. Minister for agriculture and cooperation G Kaito Aye is the chairman of the committee. The other members of the committee are C M Chang, minister for environment, forest and climate change and parliamentary affairs, Neiba Kronu, minister for planning & coordination and land revenue, P Paiwang Konyak, minister for transport & civil aviation, land Resources and Metsubo Jamir, minister for urban development and municipal affairs while Nagaland principal secretary, municipal affairs, is the member-secretary. Vekhosayi Nyekha, the acting convenor of the Joint Coordination Committee, at a press conference here on August 16 said it would pursue its demand for amending the Nagaland Municipal Act 2001 that provides for 33% reservation for women in the urban civic body elections. The committee was formed to oppose urban body elections with reservation for women in January 2017. Nyekha said the committee’s demand for amendment of the act still stood and it would continue to put pressure on the state government till it was amended as desired by the people. Violent protests erupted across the state when the then Naga Peoples Front-led Democratic Alliance of Nagaland government under T R Zeliang decided to hold urban local body elections on February 1 last year. The protests and boycotts by Naga tribal bodies left two persons dead and several injured besides causing damages to several office buildings in the state capital Kohima. The restive tribals went on a rampage, vandalised and set ablaze government offices and vehicles in the capital town on February 2. The functioning of government offices was hit for more than a week because of the protests. The then chief minister Zeliang resigned on February 10, 2017 amid political crisis in the backdrop of widespread protests in the state. Various tribal bodies, including the Naga Hoho, had called for a boycott of the elections to oppose 33 per cent reservation for women arguing that reservation (for women) would infringe on Naga customary laws and tradition as protected under Article 371(A) of the Constitution of India. Nagaland enjoys special status under Article 371 (A) which provides for protection of “religious or social practices of the Nagas, Naga customary law and procedure, administration of civil and criminal justice involving decisions according to Naga customary law, ownership and transfer of land and resources”.